After winning the 2014 Central Florida Blues Challenge, Bing was entered into the 2015 International Blues Challenge in Memphis, TN; the largest gathering of blues musicians in the world. After receiving an e-mail sent out to IBC competitors offering a live concert to be broadcast on the internet by Americana music network Ditty TV, Bing signed up for an 11 am slot on Wednesday, January 22nd and went down to the Memphis-based studio, not knowing where it would eventually lead. Once sound-checked, the cameras began rolling and the music began; an all-blues set featuring tunes that would later earn Bing the distinction of becoming the first mountain dulcimer player in the history of the IBC to advance to the semi-final round. During the show, while making music and being interviewed by the affable Rev. Neil Down, something happened back in the the control room that resulted in Bing being offered his very own video show to host on the network called "Rhythm Roots." This is the set that introduced the Ditty TV producers to Bing's down-home music and likewise down-home personality. It's a fun and breezy collection of music, stories and folk music history that has aired on the network and is finally available on both CD and DVD! See how it all started with this delightful double-set that served as a warm-up to the competition later that evening. A must for fans of Bing's blues music and teaching! Also available at CD Baby! Listen to "Listen Closely Mama (Live)" at Reverbnation! Bing Futch - "Return Of Live At Old Songs"
The everlovin' sequel to the best-selling debut live album from Bing Futch marks a return to The Old Dutch Barn at the Old Songs Festival in Altamont, New York. Recorded in June of 2015, this album proves that lightning can strike twice in the same place with an uproarious concert featuring a host of new tunes, some old favorites, another great audience and a musical experience that shows exactly what makes Bing such an entertaining hit with crowds everywhere. From his casual, intimate approach to setting the stage to his "everything but the kitchen sink" approach to a set list, Bing once again takes the crowd on a sweetly fast and slightly furious journey into the world of folk music, blending traditional mountain and Celtic music with African, Latin and Polynesian influences. There's some blues ("Red Headed Lover", "The Flip Side"), some country, ("Simon Brothers Mercantile"), a little Hawaiian music ("Hawaiian War Chant", "Hukilau"), sultry Spanish grooves ("Sway"), a whole bunch of old-time fiddle tunes and the first live recording of his popular Native American flute tune "Sweet River." With more audience interaction, good humor and a constantly shifting narrative, "Return Of Live At Old Songs" revisits the well and comes back with even more good musical returns! Also available at CD Baby! Hear "Sweet River" at Reverbnation! Bing Futch - "Sweet River"
In 2008, Bing released his first Native American flute record "Kokopelli Rising" and it became an instant favorite with fans of his music. Now, seven years later, comes "Sweet River", a bold and adventurous creation that dances on both traditional and progressive ground. Kicking off with the title track, one of Bing's most requested tunes, "Sweet River" begins in much the same way as its predecessor; with Native American flute and mountain dulcimer combining to form a lovely tapestry of joy and wonder. Then, solo flute pieces allow this 4,000 year old instrument to sing in the manner in which it was originally intended with "On The Seminole Road" and "Ghost Dog Of Loachapoka." From there, however, a musical twist emerges and, soon, listeners are caught up in an otherworldly mash-up of styles ranging from the Indonesian flavors of "The Vision" to Greek-inspired celebration ("Hopi Opa Groove Machine") to East Indian flute battles with percussion ("Tabla For Two.") And there, the journey is just beginning to dash around the world as Bing audaciously takes the Native American flute and places it in some surprising arrangements including Japanese anime pop ("Cat-Girl At Katsura Grill") and a contemporary rock arrangement of "Amazing Grace." There's also the simple-yet-powerful meditation of "Earth Mother" and an epic tour de force climax that's equal parts electronic dance music and cinematic space epic called "Fallen Angel." For lovers of Native American flute and Bing's music, "Sweet River" is a truly illuminated flight of fantasy that knows no borders and targets the sky while keeping bare feet firmly planted on terra firma. Bing Futch - "Dulcimerica: Volume 3"
Inspired by the sights, sounds and sensations of cross-country travel in America, Bing has recorded an album of mountain dulcimer music that takes listeners on a soaring travelog through time and space. "Dulcimerica: Volume 3" is the latest in a series of releases that present both traditional and modern spins on time-honored tunes as well as Bing's signature originals. The record kicks off with the softly epic "Ascension", a 16-minute journey written to convey the sensations, and emotions, of flying in a hot-air balloon. There are traditional fiddle tunes ("John Stinson's #2/Hangman's Reel"), sweet Hawaiian ballads ("White Sandy Beach"), mystical acoustic orchestrations ("Day At Trough Creek"), classic tunes re-born as pop songs ("Shady Groove") and Latin/Carribbean dance rave-ups ("New Year's Night".) Some of Bing's most popular performance pieces are here as well, including tracks from the motion pictures "Beauty and the Beast" and the epic theme from "The Last of the Mohicans." From contemplative solo mountain dulcimer to full-band arrangements to all-out symphonic arrangements, this is an album that demonstrates the versatility of the dulcimer as it leads the way flanked by Native American flute, baritone and chromatic dulcimer, drums, keyboards, guitars and more! It's an hour-long trip, fueled by heart and soul, onto the highways and by-ways of Dulcimerica. Hear "The Last of the Mohicans" here! Bing Futch - "Unresolved Blues"
Bing's long-awaited first all-blues album is a whirlwind trip through history and various regions of the states as he presents 12 songs that trace the origins and evolution of blues music. Using both a standard Appalachian mountain dulcimer and a chromatic resonator mountain dulcimer, Bing delivers traditional African roots music in the form of modal rave-ups ("Juke Joint Hen") and work songs ("John Henry".) Presented in a stripped-down, front porch solo delivery, these pre-blues tunes share album space with original Mississippi blues tunes like the fiery track "The Flip Side" and the dirty distortion of "That's What You Done To Me." Hill Country blues gets represented by the flying fingerpicking of "Harperville" while shades of Bukka White's aggressive slide stylings are present in an energetic reworking of Tampa Red's "It's Tight Like That." Mingling with the stark and haunting solo tracks are sizzling electric blues band numbers that range from Delta shuffle ("Sweet Home Chicago") and searing Texas blues-rock ("Listen Closely Mama") to honky-tonk ("Unresolved Blues") and the slow, smooth barrelhouse groove of "Drinkin' and Drivin' Blues." Recorded at Casa de Milagro (Bing's home studio) over the course of two weeks, this raw and heartfelt release captures both the early days and recent powerhouse sound of blues music. It's an authentic romp from the Big Bend Tunnel all the way up to Beale Street! Bing Futch - "All Songs Lead To The Gift Shop"
Recorded entirely using the Bear Meadow Concert Grand MIDI mountain dulcimer, "All Songs Lead To The Gift Shop" is a unique album filled with extraordinary flights of fancy. MIDI technology allows acoustic music to control synthesizers so that the familiar sound of the dulcimer can also transform into violins, cellos, flutes, horns, voices, bells, piano and percussion. Bing's history as a composer for film, theater and attractions surfaces in a big way here as each track playfully changes the channels on sound and style. There are traditional tunes in the form of "Drowsy Maggie" and "Sandy River Belle," uplifting bluegrass anthems ("Never Too Late"), Chicago-style blues ("Listen Closely Mama"), arena-rock ballads ("It's Raining Again"), Russian circle dances ("Khorovod") and spacious soundtrack compositions that are alternately soothing, moving and terrifying. All throughout, the traditional sound of the dulcimer shares soundspace with a variety of instruments all produced using the Roland GR-1 and Fantom synthesizers. It's a wild trip into a 21st century world where the mountain dulcimer and digital orchestra marry to create amazing new life. Hear samples of each track on CD Baby! Bing Futch - "Live At Old Songs"
Recorded live on June 25th, 2011 at the Old Songs Festival in Altamont, New York, this release captures the high-energy, spontaneous and engaging spirit of Bing's one man mountain dulcimer show. With a standing-room-only audience in attendance, Bing leads the group on a whirlwind tour through a variety of musical styles including a number of signature pieces that he's become known for. Traditional, popular and original tunes are here in a 55-minute concert that showcases the man in action with his first solo live CD. Hear samples of each track on CD Baby! Five years in the making, this epic release is the folow-up to 2007's "Dulcimer Rock", which featured mountain dulcimer in unusual musical settings. "DIVE!" continues that tradition, though it's not a "dulcimer" album by any means. Rather, the focus is on the songwriting, arranging and production which results in a roller-coaster ride of styles and emotions. "DIVE!" is about trying to feel again by diving down deep into the primal nature at our core and confront the demons that relentlessly follow us as shadows. Alternately hilarious and heartbreaking, rocking and rodeo-ing, Bing digs down into his own past and works through the loose threads of feelings using whatever music fits the heart of the song. There's country and rock, techno and world beat, pop and folk and much more! Hear samples of each track on CD Baby! Bing Futch - "Storm's Sigh"
A collection of original instrumental tracks, "Storm's Sigh" is a quiet and meditative journey into the heart of the tempest of life. Mountain dulcimer, Native American flute, world percussion and keyboards are used sparingly throughout the album to create a mood of stillness and contemplation. Some pieces have a traditional song structure, such as "Lubby's Lullabye" and the mysterious-sounding "Homeland" while others offer wide-open musical spaces and environments ranging from the "The Road" to the state of mind that is "Weight of the Way." Perfect for quiet, peaceful nights or bright and early dawns and everything else in between. Hear samples of each track on CD Baby! 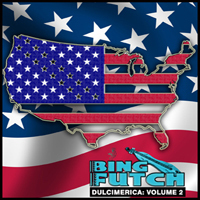 Bing Futch - "Dulcimerica: Volume 2"
The second in a series of mountain dulcimercentric music, "Dulcimerica: Volume 2" pushes the envelope beyond the first record and includes a wild variety of styles plus lots of vocals. The bluegrass-flavored audience favorite "Simon Brothers Mercantile" leads off from track one into folk favorites like "John Henry", "Pick A Bale Of Cotton/Take This Hammer" and "Danny Boy" while also including The Doors' tune "People Are Strange", "Till There Was You" from "The Music Man", a handful of original tunes and Bing's signature roadhouse blues tune "Juke Joint Hen." Hear samples of each track on CD Baby! 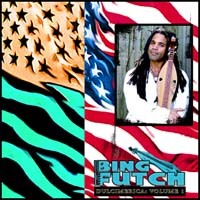 Bing Futch - "Dulcimerica: Volume 1"
Bing's first mountain dulcimer album is an all-instrumental affair featuring solo dulcimer and the harmonica playing of Charles Stansell on three tracks Classic tunes like "Over The Rainbow", "Edelweiss", "Swing Low Sweet Chariot/He's Got The Whole World In His Hands" and "The Old Black Cat Couldn't Catch A Rat" are found here along with good old chestnuts like "Polly Wolly Doodle", "The Old Black Cat Couldn't Catch A Rat" and a 3/4 time version of "Whiskey Before Breakfast" called "Whiskey Before Waltzing." Hear samples of each track on CD Baby! 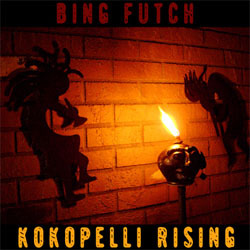 Bing Futch - "Kokopelli Rising"
For lovers of the haunting tones of the Native American flute, this record taps into Bing's Seminole heritage and presents the flute in both traditional and modern stylings. From the solo flute and tribal drums of "Medicine Dance" and "Let The Sun Not Set" to arrangements with mountain dulcimer such as "Phoenix" and "Tears Of Kokopelmana" to big soundscapes of adventure like "Sunday At Little Beach" and "I Am A Poor Wayfaring Stranger", "Kokopelli Rising" is a journey into the heart and soul that shows the beauty in the natural spirit. Hear samples of each track on CD Baby! Bing Futch - "Dulcimer Rock"
Bing's first post-Mohave album has a full-band sound and a heart dipped in rock and roll. Featuring the award-winning song "Crazy Feels Like", this album rocks ("Monsters", "Time Bomb", "Casualties of Faith"), pops ("Neon Tiki", "Unless You Fall"), journeys into slave spirituals ("Run On"), Indian ragas ("Raga 111806"), mystical instrumentals ("Seminole Solstice", "The First Of April") and is all original except for the traditional Seminole tune "Big Alligator", an upbeat version of "Auld Lang Syne" and a cover of Robert Force's dulcimer rocker "Wellyn." Hear samples of each track on CD Baby! Bing Futch - "Christmas Each Day"
Bing's first Christmas album was partly inspired by the classic record "The Little Drummer Boy" by the Harry Simeone Chorale. With memories of that album as the soundtrack to every Christmas growing up in Los Angeles, California, the foundation was set for a magical trip through time and space with traditional hymns and carols spanning over 500 years while circumnavigating the globe. Featuring guitarist Roger Zimish and Bing's wife, Jae, singing "Rockin' Around the Christmas Tree", the album takes the Appalachian mountain dulcimer and showcases it here in a wide variety of musical styles and unique arrangements of timeless classics. From the Beach Boys style harmonies of the title track and the Celtic flavor of "Deck The Halls" to solo and ensemble mountain dulcimer orchestrations. World drums and percussion with symphonic strings add drama and heavy rhythm to tracks like "The First Noel" and "Joy To The World" while 50's rock 'n' roll, roadhouse gospel blues, folk and old-time music all take a turn around the tree. Hear samples of each track on CD Baby! In 2007, mountain dulcimer legend Robert Force gathered together a supergroup of unique folk musicians for a musical powwow in Manitou Springs, Colorado. Robert, along with Bing Futch, Quentin Stephens and Bud Ford III handled mountain dulcimer duties while Dave Batti provided acoustic bass guitar, Roger Zimish arrived on guitar and Judy Piazza rounded out the septet on world percussion, Native American flute and vocals. The group then hiked into The Garden of the Gods in Colorado Springs early one morning, set up in a circle and, with cameras and recorders rolling, proceeded to improvise for two hours. The result is what's being called "tribal fusion", a shape-shifting, ambient album of jubilation, reflection and melodic/rhythmic re-birth. "In The Garden Of The Gods" is unlike any album you've ever heard before; it simply defies description. Let it be said that those who hear it are transformed and transported to the valley of red stones where seven musicians tapped into the history of the place, siphoning energy, tones and spirit. Various Artists - "Key West Dulcimer Fest"
15 of the world's best mountain and hammered dulcimer players present a tropical serenade. Featured as the "cast album" for the 1st Annual Key West Dulcimer Fest, this album showcases a variety of material from well-known players such as Stephen Seifert ("Mode For Dulcimer"), Butch Ross ("Fragile"), Susan Trump ("Sun Lotion 99"), Karen Mueller ("Birdland"), Rick Thum ("Three Little Birds"), Guy George ("Samantha's Smile"), Dan Landrum ("By Land & Sea"), Jeff Hames ("Kokomo"), The Aaron O'Rourke Trio ("Swinging 7's"), Bing Futch ("Margaritaville") and more! Hear samples of each track on CD Baby! 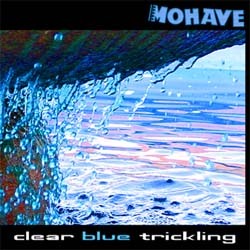 Mohave - "Clear Blue Trickling"
A unique alternative Americana blend of slave chants, Native American rhythms, blues, jazz, country, Celtic and roots-rock styles with pop hooks, timeless stories and electrified mountain dulcimer. Bing's band cranks through a dizzying range of styles and selections featuring an instrumentation that also includes drums, bass, keyboards, trumpet, trombone, melodica and harmonica. Hits include "Come On With Me", "Positive Vibes", "The Miner & His Music", "Ring-A-Ding" and "Black Indian." Hear samples of each track on CD Baby! Described as "an electronic theater-hopping experience", this instrumental album by Mohave founder Bing Futch is a freewheeling excursion through a sonic landscape of moods, memories and magic. 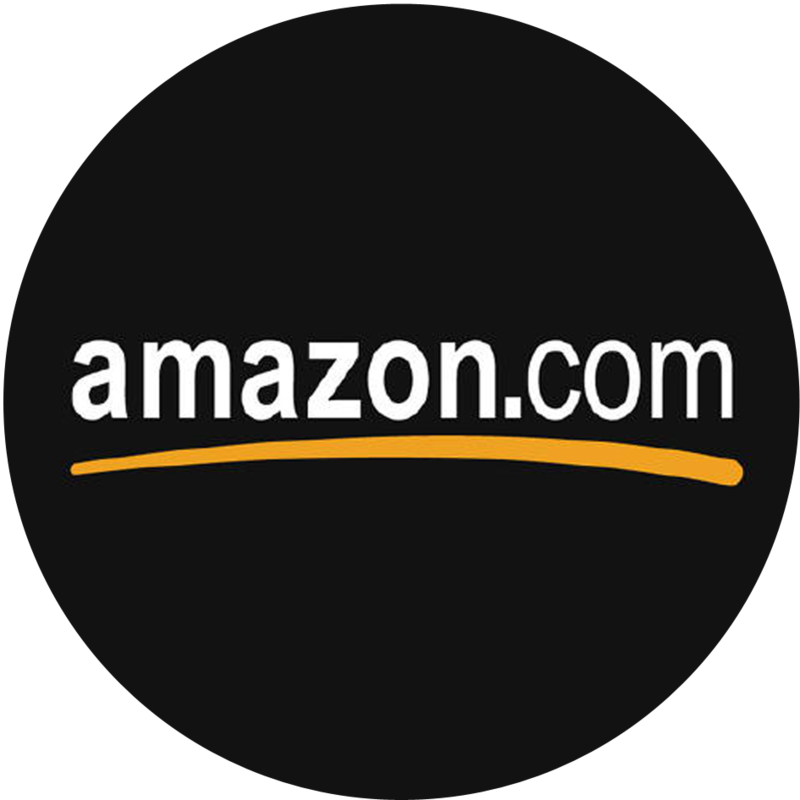 The CD is a partial showcase for five tracks that were written for the soundtrack of a children's attraction called The Castle Of Miracles at Give Kids The World Village in Kissimmee, Florida. "Four Faerie Tales" is a 16th century suite of Renaissance music while "How To Build A Castle" is a shape-shifting overture that plays like the final moments of a major motion picture. The rest of the album is a progressively entertaining blend of heavy rhythmic synth-pop and new-age textures woven together in unusual arrangements. From the intergalactic cathedral sounds of "The Long Journey Home: 1994" to the hard-hitting arena groove of "Marryin' The Music", Futch weaves a dizzying web of musical layers and styles. Hear samples of each track on CD Baby!